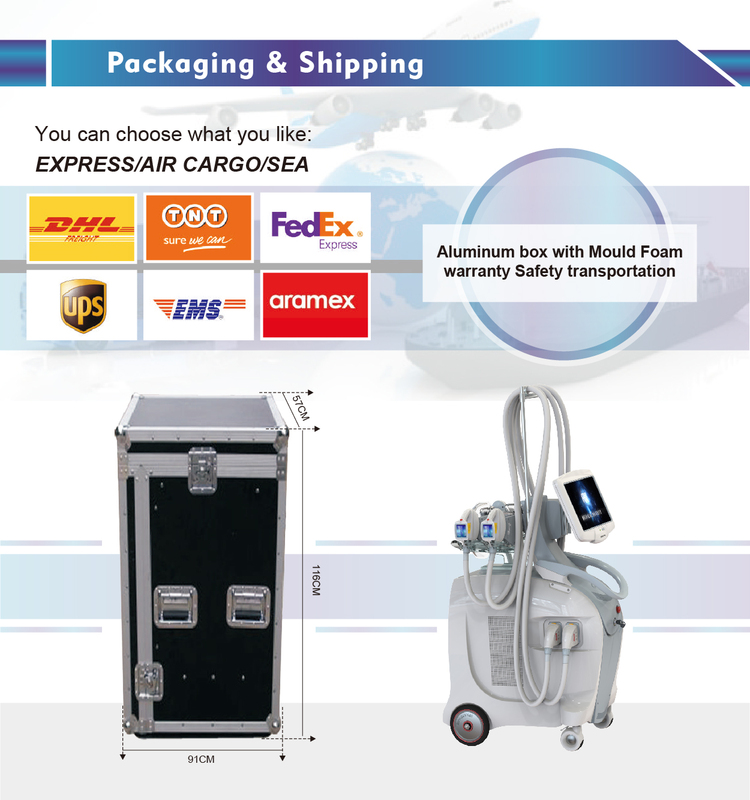 ♦ Equipped with 4 cryo handpieces. 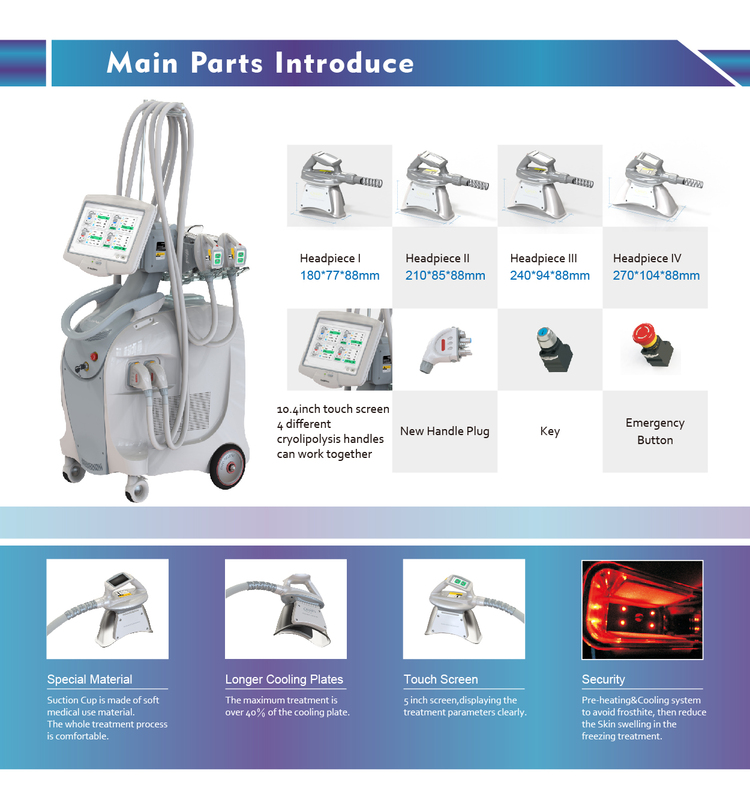 ♦ The handle temperature collection has multiple probes to prevent the treatment temperature from being over-temperature, frostbite or burns,can't achieve the treatment effect. 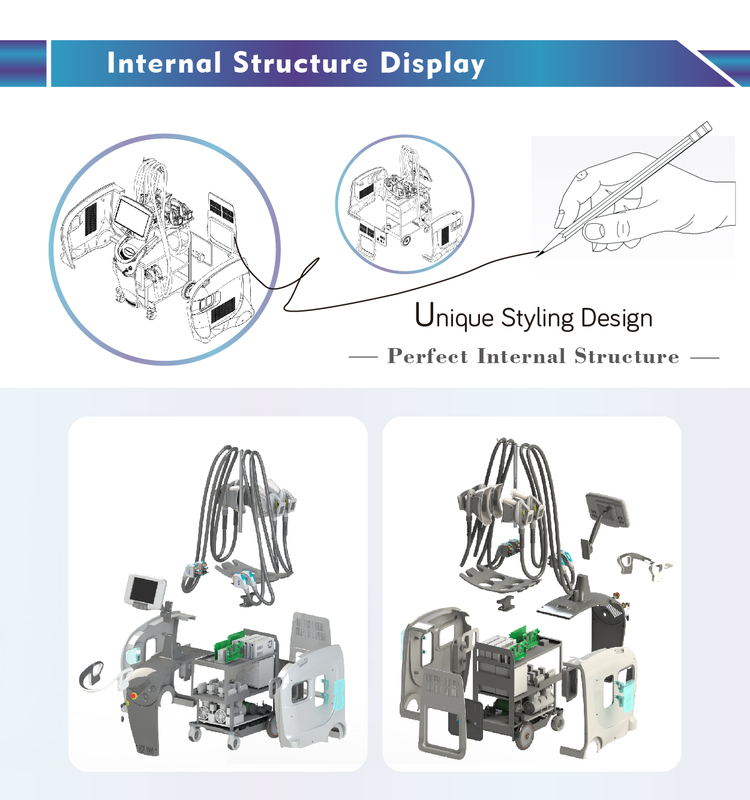 ♦ Pressure control adopts modular control to reduce the failure rate of negative pressure system. 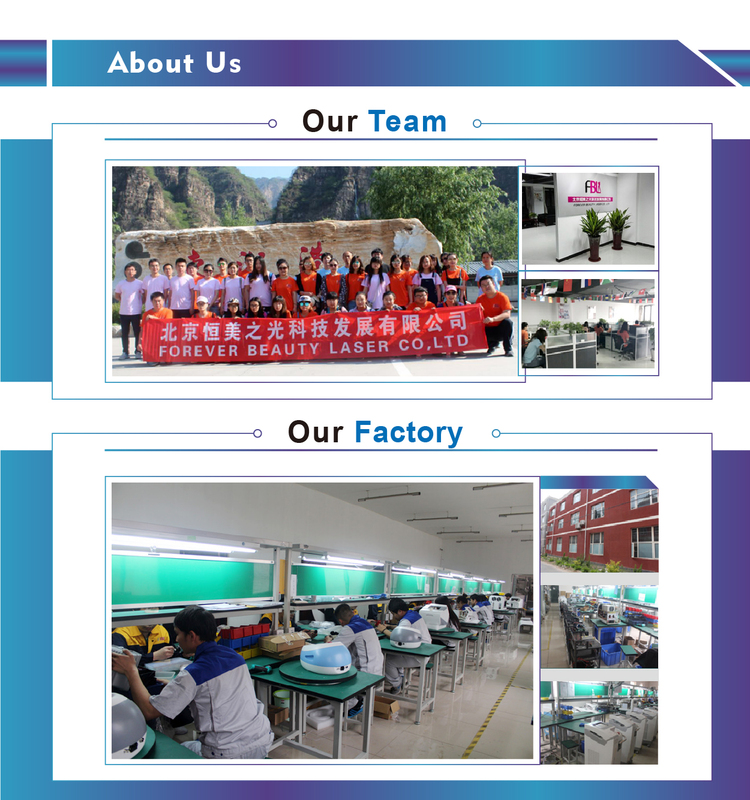 power supply is damaged, it will not affect other handles. 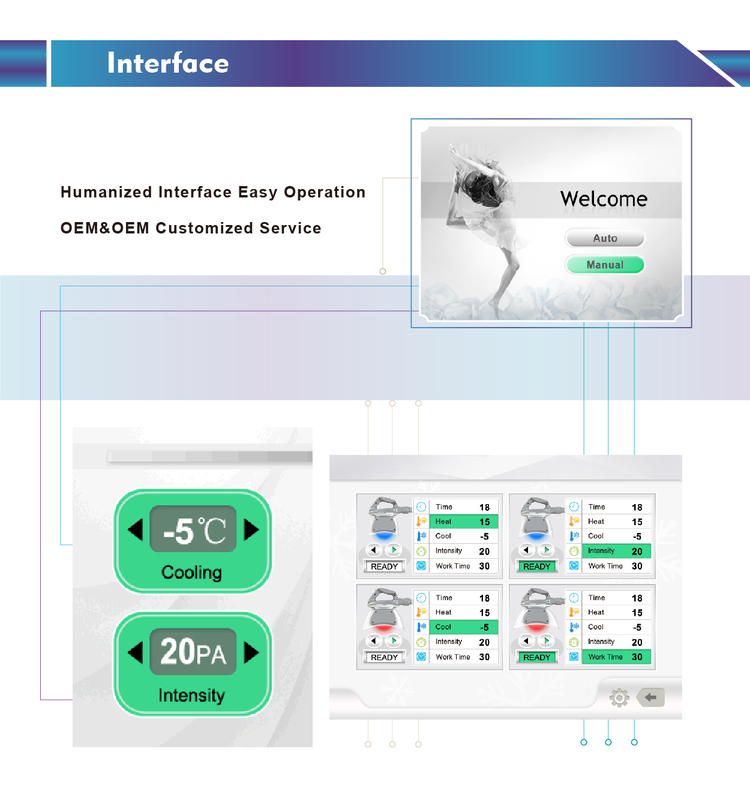 ♦ Each handle has a separate water flow monitoring to prevent water shortage from burning the handle, and scald accident. 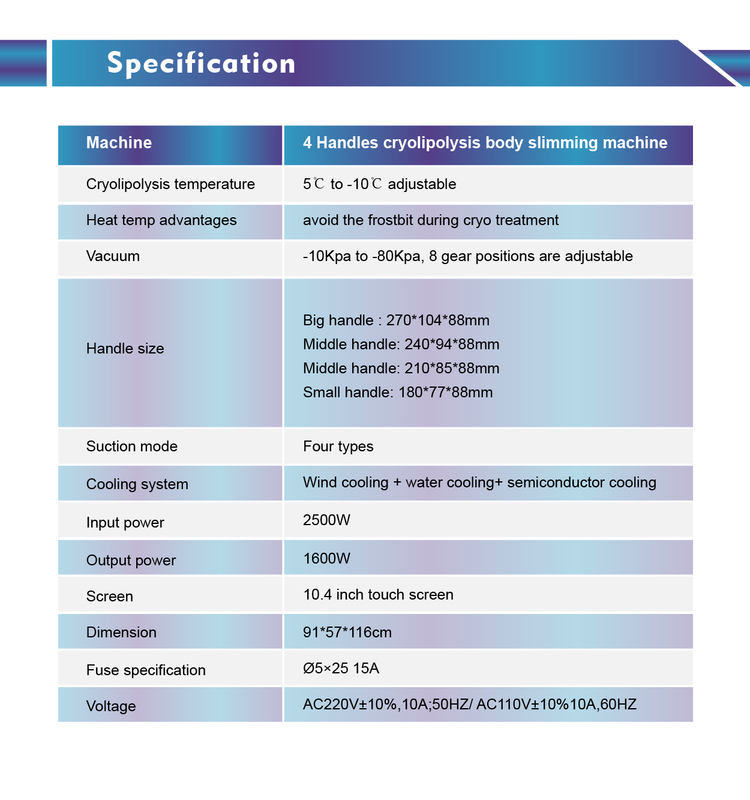 ♦ The treatment mode adopts the first heating and then cooling working mode, which is more conducive to weight loss. 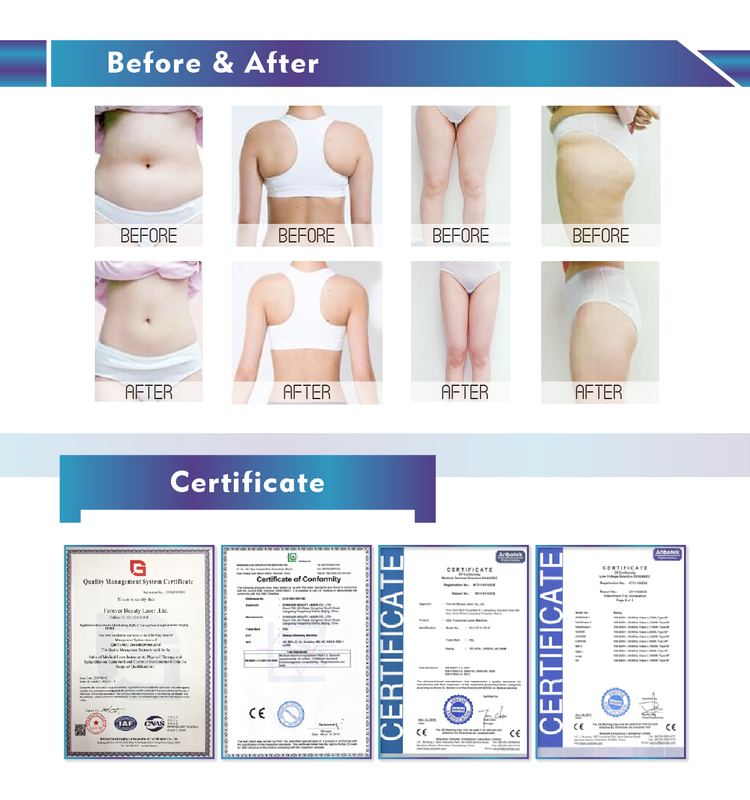 ♦ 3cm-5cm fat can be lost in one treatment. 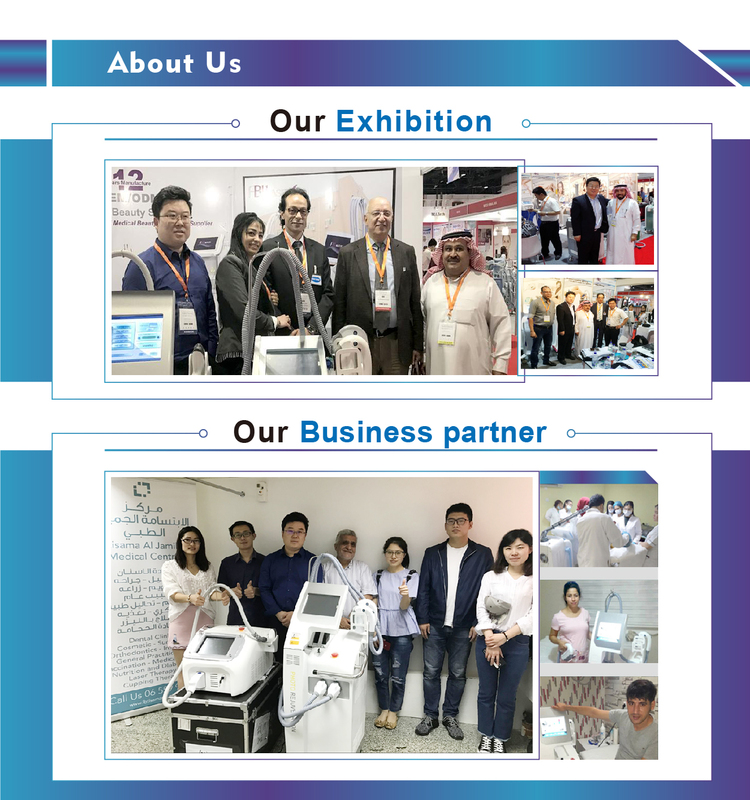 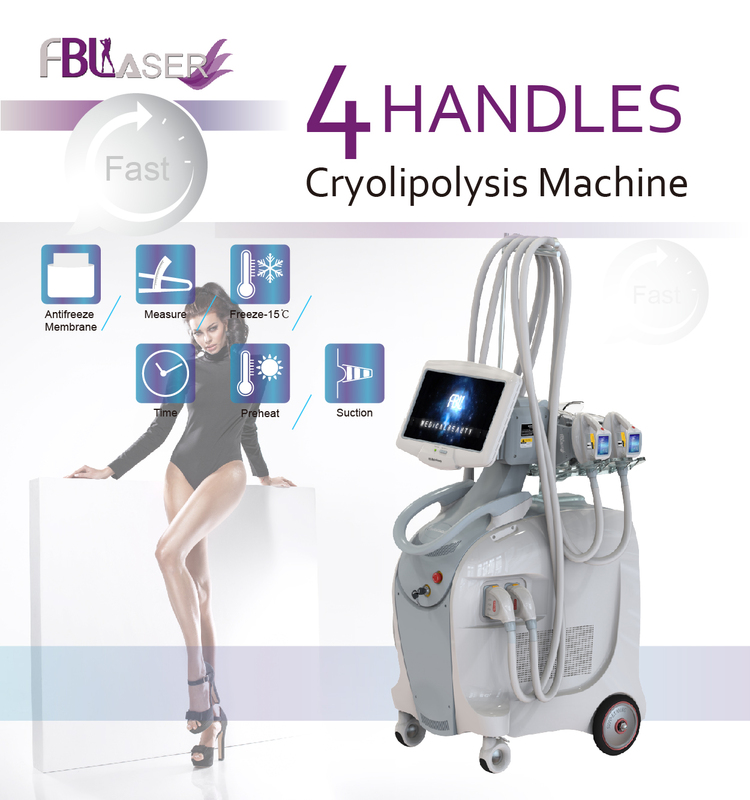 Cryolipolysis Slimming Machine uses advanced cooling technology to selectively target fat bulges and eliminate fat cells through a gradual process without harming the surrounding tissues. 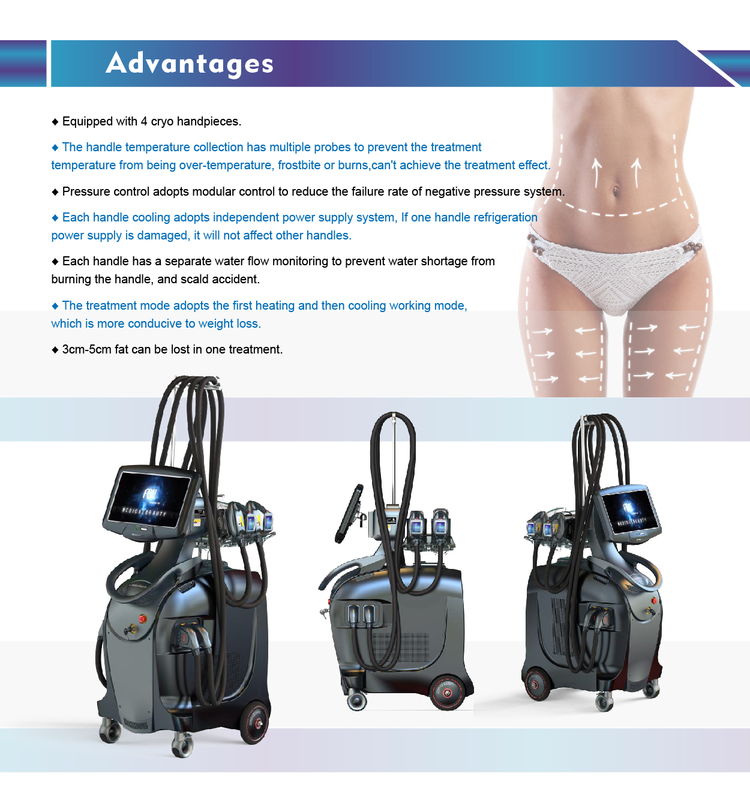 It is the most popular way to lose weight.